The proposed CPD consent decree has been filed with a federal court. 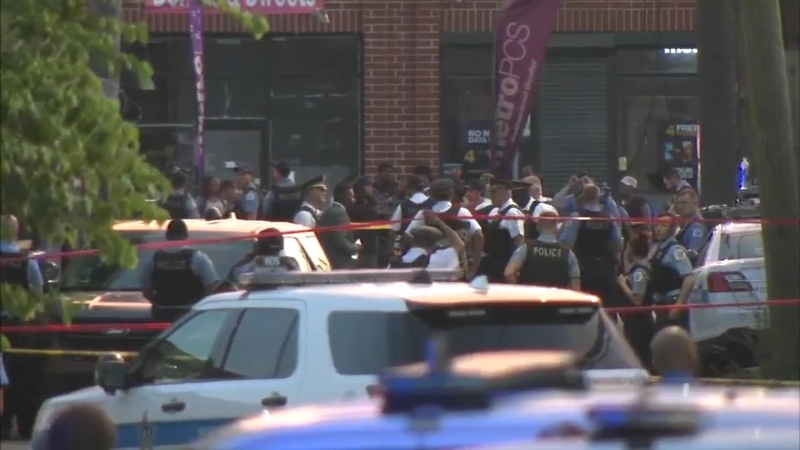 CHICAGO (WLS) -- The proposed consent decree negotiated between the City of Chicago, Chicago Police Department and Attorney General has been filed with a federal court. Attorney General Lisa Madigan, Mayor Rahm Emanuel and CPD Superintendent Eddie Johnson held a joint press conference Thursday to discuss the decree, which mandates extensive reforms to CPD's policies, practices and training. An addendum to the proposed decree would require officers to report each incident in which they point a gun at a person. The incident would then have to be reported to and reviewed by the officer's supervisor to ensure the officer followed policy. CPD Headquarters must also review and audit all incidents within 30 days. The finalized, proposed decree was drafted by the Illinois Attorney General's Office, the City of Chicago, and the Chicago Police Department. It will now be reviewed by a federal judge, who will also hear public comment on it. The new policies will take effect in July 2019. Training and guidance on when a gun should be pointed at a person must be in effect by January 1, 2019. If the decree is approved, an independent monitor will be appointed to oversee its implementation and recommend any changes in January 2020. "This morning we filed a proposed consent decree with the federal court that will lead to real and lasting reform with the Chicago Police Department," said Madigan. Emanuel said the decree includes input from the community and officers themselves. "For reform to be effective and lasting, it must be done with police, not to police," Emanuel said. Kevin Graham of the police union said the addendum endangers officers by causing them to hesitate before pulling their guns. "We already have an officer who was severely beaten, and what the officer's exact words were is 'I don't want to be the next person on trial,' and so she was hesitant to pull her gun," Graham said. Johnson said measures are in place to keep officers from hesitating to pull their guns when necessary. "We were never against documenting those things, we just knew we had to do it in such a way that it wouldn't cause officers hesitation," Johnson said. Emanuel said that costs associated with the consent decree have already been factored into the city's next budget. Chicago police officers may soon have to document every time they point a gun at a person, sources tell ABC7. In a statement released Thursday, ACLU of Illinois Director of the Police Practices Project Karen Sheley said: "Today is another critical step in the process of bringing much-needed reform to policing in Chicago. We are pleased that the City and AG provided a forum for the voices of Chicago residents and community groups. For reform to be successful, the consent decree needs this community input in the reform. To that end, we are now beginning to assessing whether these voices were incorporated into the agreement." The full draft of the consent decree can be found here. Is Chicago ready for reform in 2018's police department?